- Superior heavy body and lid with mirror finish food grad gasket as per IS:7466 standard. - Three safety features for better performance. - This Combo Gift set comes with an smooth writing Metal Pen, Metal Hook Keychain, Dual Visiting Card Holder . Made of Exclusive High Quality Material, Well Designed By Skilled Man. - Employees, Event, Ideal birthday, Festival Gift and Anniversary Gift.Comes packed in a box etc..
- Color available : Brown & Black Color. - Hip Flask Chess Set makes a classic gift for friends or treating yourself. 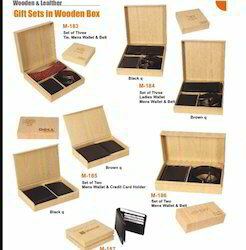 - Employees, Event, Ideal birthday, Festival Gift and Anniversary Gift.Comes packed in a box etc. - Attractive Four Color -Red, Blue, Brown & Black. 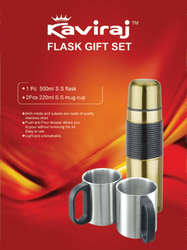 We take pleasure to introduce ourselves as one of the leading organizations, engaged in offering a comprehensive range of Gift Set. The offered set is uniquely manufactured using optimum quality material, procured from reliable vendors of the market. - It has a screw down cap that is attached, so the cap it won't be lost.